Now available with BobCAM right inside of SOLIDWORKS™, BobART is a fun yet powerful art add-on that’s easy enough for new or occasional users, yet powerful enough for the advanced CAD-CAM users that want to perfect their artistic manufacturing projects. Transform your artistic imagination into manufacturing reality! 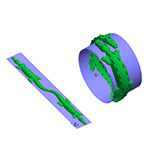 BobCAM for SOLIDWORKS™ V5 now offers BobART as an artistic CAD add-on module to any of the BobCAM milling products. It allows you to apply creative artwork to CNC manufactured parts. 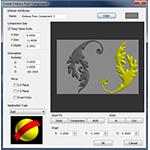 This powerful artistic software lets you to take a picture or drawing and convert it into relief model or vectorized geometry that can be machined by a CNC mill, router, waterjet, laser, or burning machine. Simply open an image file and you’re just a few steps away from engraving, carving, or embossing with powerful CAM programming. This is a must have CNC router software and CAD design tool for industries that work with sign making, custom wood working, jewelry making, instrument machining, engraving work, mold making, and much more. The BobART design software from BobCAD-CAM is one of the most powerful and easy to use artistic CAD-CAM software you’ll ever experience…See it for yourself, test it today for FREE! Sketch a design on paper or take a photo or an image, scan it to your computer, and import the file to BobART. 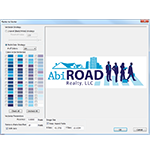 From here you can easily convert your sketch, photo, or image to vector and edit the geometry as needed to prepare it for embossing, debossing, and relief jobs. 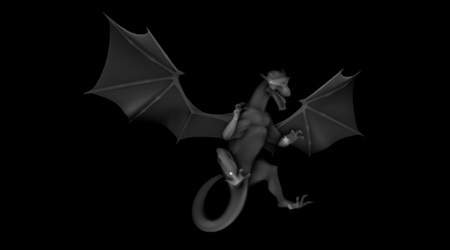 Easily wrap a 2D image file onto a 3D model for embossing and debossing jobs. 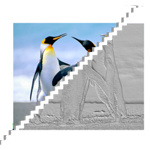 The “Emboss From Image” function in BobART allows you to instantly create a relief model from an image file. BobART gives you the ability to either import STL files or utilize previously created embossed files and use them in combination with one another on new jobs. 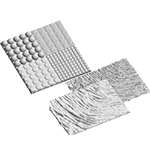 V-Carving functionality allows you to use a v-cutting tool or combination v-cutter and end mill to create flats with tapered walls, perfect for custom woodworking and sign making applications. Additionally, the v-carving wizard allows you to create a chiseled finish by automatically generating a centerline toolpath for your fonts. BobCAD-CAM offers live webinars showcasing..
BobCAD-CAM offers On_site, 3-Day Local Seminars, Online Seminars..
Mill series includes 185 training videos, a digital workbook, and step-by-step lessons for each machining feature. 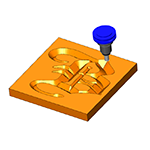 The new BobCAM for SOLIDWORKS™ Gold Partner CAM solution lets you program powerful toolpath operations for part models right inside of SOLIDWORKS™. Built as a SOLIDWORKS” plug-in product, BobCAM offers all of the benefits of a modular CAM product with an improved workflow and access to over 30 simple & advanced toolpaths that provide the efficiency needed to cut high quality parts quickly.